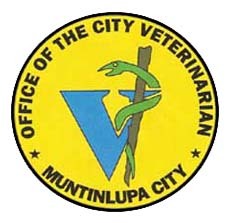 We envision the Office of the City Veterinarian of Muntinlupa to be a model office of dedicated public servants, which maintains the highest degree of professionalism and deep commitment to service, in pursuance of its goal to a healthy population of man and animals, free from infectious and zoonotic diseases, assurance of safe and quality meat and meat products, while providing honest, prompt and courteous service to the constituents of the city. To provide quality Veterinary Services with main trust on animal heath, animal welfare public health and food security. The Office of the City Veterinarian will provide at all times honest, highly efficient, prompt and quality veterinary services for the local public. To provide systematic and effective veterinary services through our skilled veterinarians, meat inspectors and animal health officers.